The Cubano served at Isla Vida, a recently opened Caribbean-centric restaurant in the Fillmore, is a profound sandwich. It’s packed with tender morsels of pork from Isla Vida’s impressive wood-fired contraption, a two-part specimen that was specially brought in from an expert producer in Bellingham, Washington. 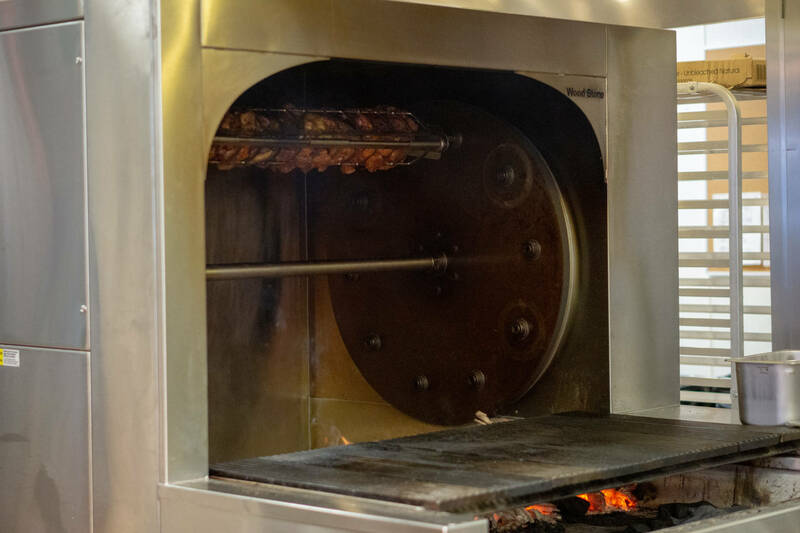 It is believed to be the only one of its kind in San Francisco — both a rotisserie capable of spinning 70 chickens at a time under the heat of cherry, almond and/or oak wood (depends on the day), while having an attached wood-fired grill. The invention is impressive and the most entertainment you’ll ever have watching meat roll around in a circle for hours. 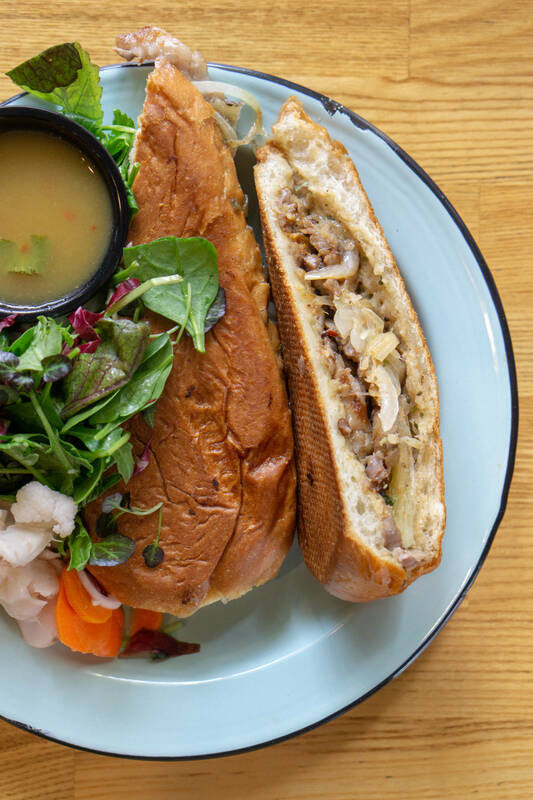 That sandwich is also profound in how it’s the centerpiece for a concept that aspires to be, and hopefully becomes, a centerpiece for one of San Francisco’s central and most historically rich neighborhoods. It’s also one of San Francisco’s most rapidly changing neighborhoods. 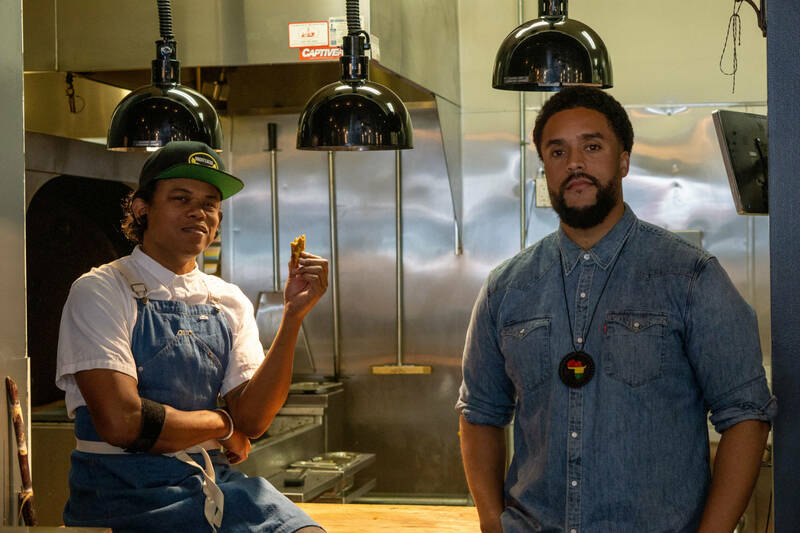 While chatting recently with chef-owner Jay Foster and co-owner Matthew Washington, the subject of how Isla Vida is one of the select few black-owned businesses in the Fillmore — an area that once was considered the “Harlem of the West” — inevitably led to that oft-maligned “G” word in San Francisco: gentrification. Billie Holiday, Dizzy Gillespie and Charlie Parker all performed here. Black-owned restaurants previously thrived with that jazz scene. Now, according to Foster and Washington, there is Bruno’s and Sheba Piano Lounge, which is also an Ethiopian restaurant. 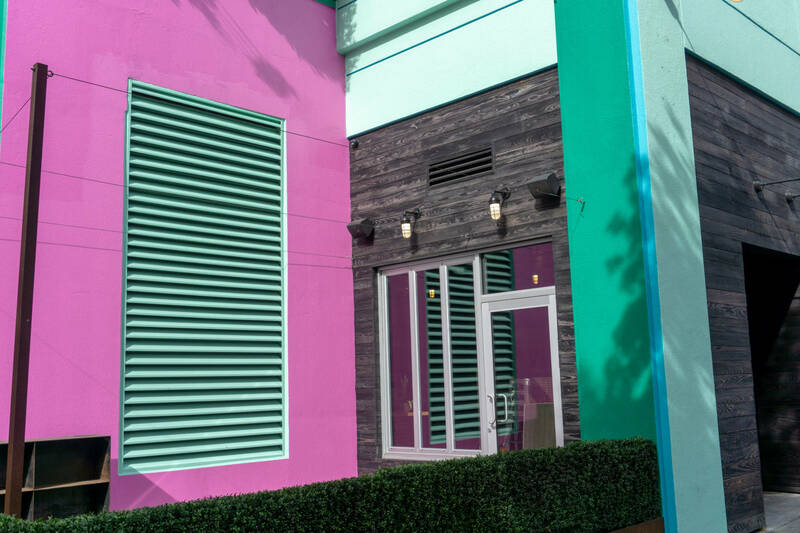 Make it a trio now with Isla Vida’s opening. In present day San Francisco, this stretch of Fillmore roughly between Golden Gate Avenue and Geary Blvd., is best known for being the home of contemporary California cuisine prodigies (and siblings) State Bird Provisions and the Progress, plus Boba Guys (self explanatory specialty), Merchant Roots (a market/café with homemade pasta and cookies), Avery (destination tasting menu spot), Fat Angel (craft beer gastropub with a famous mac ‘n’ cheese), and Wise Sons (bagelry/Jewish deli). Starbucks is the main gathering place for the thoroughfare now, residing across the street from a somewhat new and sleek apartment complex with a spiffy Fitness SF inside it. Meanwhile, Sheba’s Ethiopian restaurant is the only jazz choice. The Fillmore Heritage Center and its Yoshi’s jazz club closed a few years ago and is now involved in all sorts of unpaid loan lawsuits. Before Isla Vida opened, it was Black Bark BBQ, a black-owned BBQ spot whose proprietor, David Lawrence, also owned the upscale Southern restaurant, 1300 on Fillmore, across the street. Both closed in the past year. It all just goes on for the neighborhood, while the neighboring Divisadero and Hayes Valley areas, that once were considered part of the Western Addition, are now booming with hip new restaurants, cafes, boutiques and bars. Call it the g-word or not, but there is no ignoring the facts that since “urban renewal” began in the mid 20th century, the Fillmore’s heyday, San Francisco’s African American population has dwindled by more than 10%, which is a staggering figure for a city that doesn’t even have a population of 900,000 people. This 2016 article by KTVU, including interviews with former Mayor Willie Brown, perfectly explains the changing dynamics for this neighborhood and for African Americans as a whole in the city. 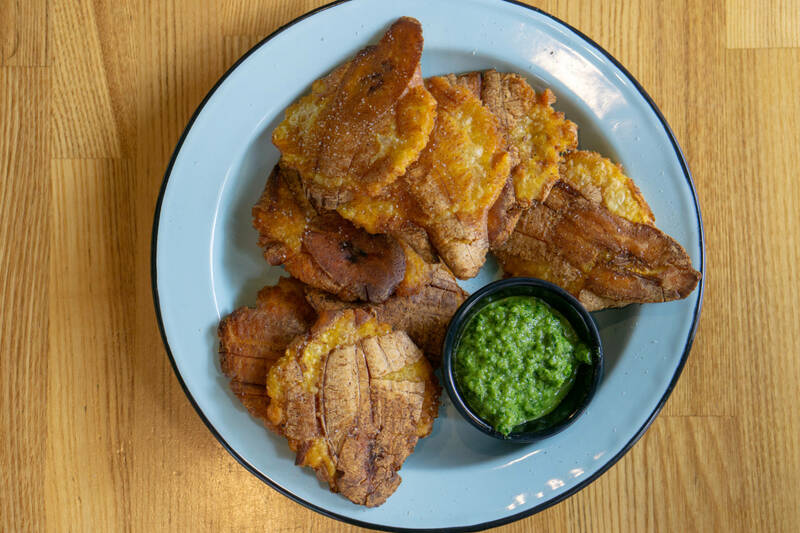 Meanwhile, another missing part of San Francisco’s wonderful diversity is a lack of Cubano sandwiches, tostones and many other Caribbean food specialties. 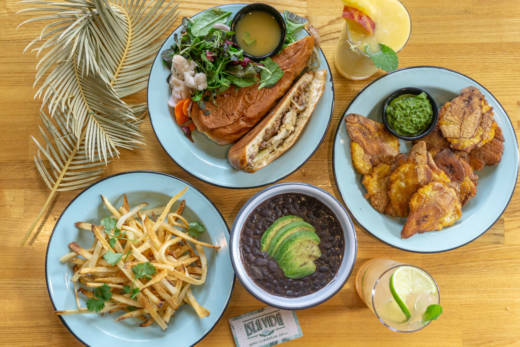 Just do a Yelp search (not counting Isla Vida and sorting through unreported closings and pop-ups) and you’ll find six other restaurants in all of San Francisco serving a Caribbean menu. Both chickens are $8 for a quarter piece, $12 for a half and $18 for a whole. Diners can also opt for the $12.50 chicken plate that is a full meal of a quarter chicken, congri (rice and black beans), mixed greens, pickled vegetables and a choice of plantain styles (“tostones” are savory crispy green plantains; “maduros” are sweet plantains like bananas in bananas Foster). The jerk seasoning and wood-fired oven also team up for the preparation of a whole red snapper ($35) stuffed with vegetables (currently carrot, cauliflower and okra) and the menu’s vegan entrée offering, a jerk jackfruit plate ($12) served over plantains. Foster also makes a jerk spice aioli for slathering on a soft roll and layering grilled rib-eye, Manchego and caramelized onions for the Cubano’s beefy sibling ($16). The rotisserie-grill resides in the rear kitchen, partially hidden from view and partially visible behind a rustic wooden table where final plating takes place. There are tropical floral prints on the ceiling panels and hanging flora and fauna all across the room, with the bar and register to one side and seating for roughly 45 guests scattered across the other side of the space with small wooden tables, high tops with bar stools, and a communal table. It’s a breezy, relaxed vibe but this is definitely not the Tonga Room or Cha Cha Cha in terms of tropical decor. That’s because Foster, Washington and their third partner on the project, Erin Traylor, aren’t looking to make “Isla Vida” a representation of resort life. They’re trying to capture real life on the islands, full of breezes and jerk seasoning, but free of Infiniti pools and hammocks. The project was a long time coming for Foster, who first came up with the idea of an Afro-Caribbean restaurant 15 years ago (the originally planned name was “Rude Boy”). Though it took over a decade to get the idea to be a reality, Foster never gave up: “Fillmore is where we both wanted to be for a long time.” Washington is from the neighborhood and still lives there, and Foster always wanted to help the Fillmore capture some of the cultural magic that it has lost. Foster is one of the most prolific front and back of house San Francisco industry veterans who most San Franciscans don’t really know much about He could be a celebrity chef but isn’t a celebrity chef. The North Carolina native came to San Francisco in the 90s for a PG&E job doing survey work that tired him out quickly because it was “really, really boring” and forced him to live out of a suitcase with frequent travel. So, he studied graphic design at the Academy of Art while also working as a server or bartender at several Bay Area fine dining heavyweights like Jardinière and Zuni Cafe. He missed the home cooking of the Carolinas though and always noticed a dearth of “Americana” restaurants in the city. Before solving that problem, he co-founded Bernal Heights’ beloved Emmy’s Spaghetti Shack, an Americana version of an Italian red sauce joint. Then Foster opened his deeply personal Divisadero southern Americana concept, Blue Jay Cafe (get the Jay connection? ), in the space that is now Brenda’s Meat & Three. Blue Jay represented Foster’s shift to being both a chef and owner, and after two years there, he sold his shares of the Blue Jay to his fellow partners and opened farmerbrown in the Tenderloin in 2006 with his wife Deanna. 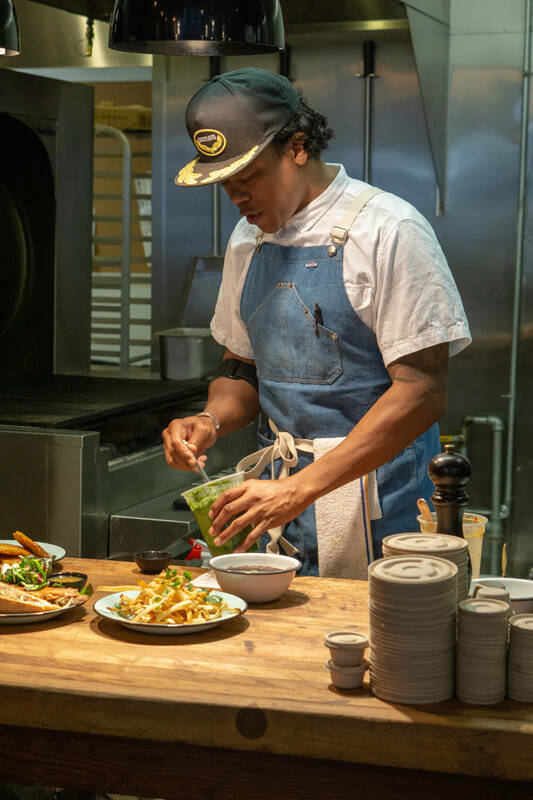 farmerbrown is one of a select few sit-down soul food restaurants in San Francisco and has channeled its success into a location in SFO’s Terminal 1 (chosen for all of Delta’s Atlanta passengers there) and the popular Little Skillet chicken and waffles takeout window in SoMa. Not only is farmerbrown one of the only longstanding soul food restaurants in San Francisco — it’s one of the few longstanding restaurants to make it in the Tenderloin’s challenging core. So, diners will see how soul food really is an extension of Caribbean food, just like Foster and Washington did in their research. Instead of shrimp and grits, Foster uses Isla Vida’s grill for garlic shrimp ($15.95) and serves it over congri. Elsewhere from the grill come BBQ ribs, a specialty you might expect from a soul food restaurant like farmerbrown, but here they’re slathered in a guava-fortified sauce ($16.95). Right now dessert means churros with chocolate sauce or grilled pineapple with coconut ice cream and caramel (both $6). Drinks focus on tropical items (coconut water, ginger beer, etc…) and smoothies, but soon will add beer, wine and coffee service. Weekend brunch will also be introduced soon. Can Isla Vida solve all of San Francisco’s problems from the Tenderloin to the Fillmore? Of course not. But it’s going to do its very best to give a dwindling African American population in the city something to take pride in. 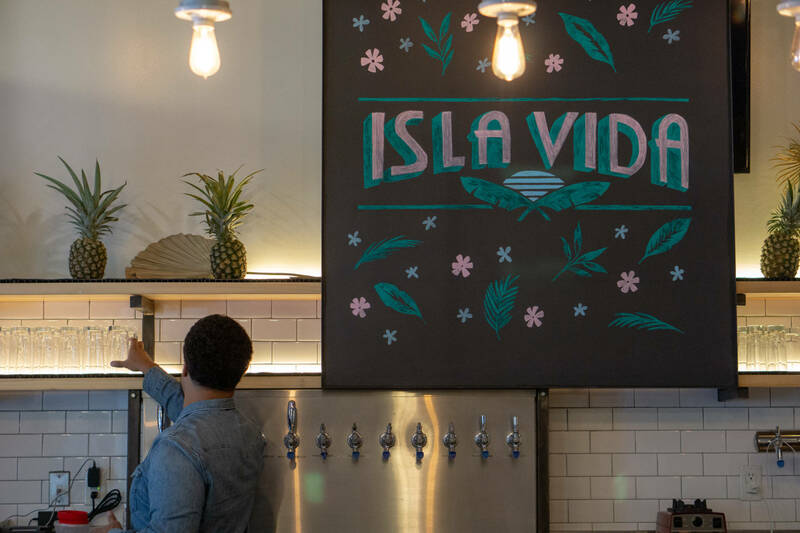 Isla Vida is aspiring to be an anchor to the past for a rapidly changing Fillmore and San Francisco, one jerk chicken and one smile at a time. “We’re trying to touch on a few of the little things that we really like, try to represent it really well and hopefully make our ancestors proud.” It’s a tall task for a small place but a lot of heart and a destination-worthy Cubano can go a long ways. 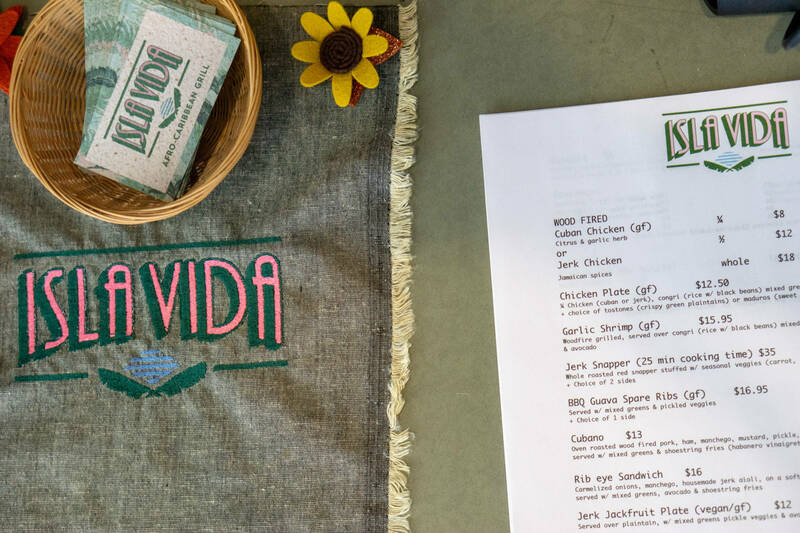 Isla Vida seems primed to make some big waves of impact in San Francisco. Hours: Wednesday-Sunday, 11AM-8PM. Weekend brunch service is coming soon.